If you are a dog owner, you by now already know that your dog loves watching other animals on the television. 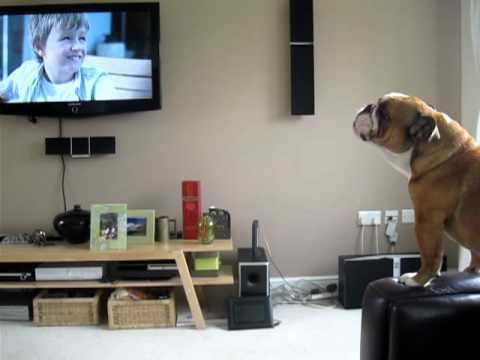 This adorable bulldog named Fred thinks he is an elephant after watching one on the tv. Watch has Fred tries to imitate the elephant by opening his mouth and attempts to make an elephant call sound. Animals get along so well with one another, which is something us humans need to learn from. This video will brighten your mood for the day.